Scottsdale, Ariz. Jan 07, 2016 – cStor, a leading provider of data center, cloud and intelligent video surveillance solutions, hosted its 6th consecutive year of holiday toy collection events to help give back to communities cStor serves. “cStor is always looking for ways to do the right thing for both clients and the local community. 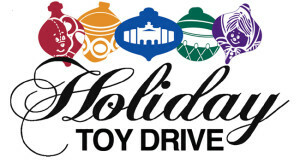 We’ve collected toys during the holidays for the past six years in Phoenix, and this year expanded the effort to our other markets,” said Larry Gentry, cStor President and CEO. The toy collection events were held during the Company’s Star Wars movie premier events in Scottsdale, Ariz., Las Vegas, Nev., and Albuquerque, NM. The events provided cStor prospects with an educational session and a special movie premier event. 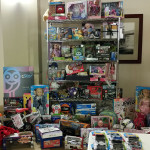 Attendees were asked to bring new, unwrapped toys to the event. 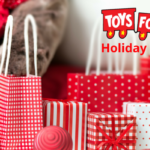 More than six boxes of toys were collected and distributed through local charities – Toys for Tots in New Mexico and Nevada, and the Scottsdale Fire Department’s Holiday Toy Drive in Arizona. cStor helps companies strategize, create, and implement data center, cloud and intelligent video solutions that help clients use IT to enable business transformation, reduce costs and gain competitive advantage. cStor’s proven capabilities with key data center, cloud and video technologies give clients the ability to collaborate with certified experts, and the confidence to move business forward faster and more efficiently than ever before. cStor serves clients across the southwest region with a focused, collaborative approach and superior results. For more information, visit https://cstor.com.